Kosher Info: Iceland has no official Jewish population, no Chabad, and thus no Kosher food. It is imperative to bring your own food with you to Iceland. If you are desperate to find something fresh to eat in Reykjavik, Iceland’s capital, there is a vegetarian restaurant off the main shopping street, upstairs. Additionally, there is also tons of fresh fish you can purchase and make yourself if you’re set up to do that. Tourist Info: Iceland is definitely a different “off the beaten path” destination that I would recommend for nature lovers. A good chunk of the landscape is barren, snow or moss covered lava. The island was formed from a volcanic eruption, thus leaving little possibility for vegetation. Due to Iceland’s proximity to the Arctic, its summer months are very bright (albeit still cold) and its winter months are extremely dark with only a few hours of daylight. Reykjavik itself is not a large city. A few hours walking around the city is more than enough to get everything in. The highlight of Reykjavik is its 7 public geothermal pools. The entire island is heated by underground geothermal hot springs, so conventional heating methods for homes or showers are unnecessary. Take a dip into 100F+ degree waters while it is very chilly outside. Extremely refreshing… there is nothing like it. This is also a great way to meet the locals. The real attraction to visiting Iceland is to venture out of the city into its nature. 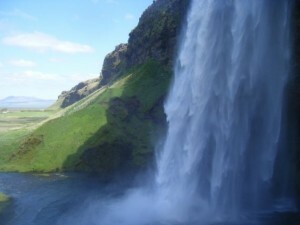 The most popular sites in Iceland can be found on the “Golden Circle” tour. This includes a visit to Thingvillier national park: where you can view the divide in the American-Eurasian continental plates; Geysir: where you will view first hand the geothermal waters and the original “geyser” which spurts every 5 minutes; and finally Gulfoss: an awesome waterfall untouched by tourist attractions (see Niagara Falls). 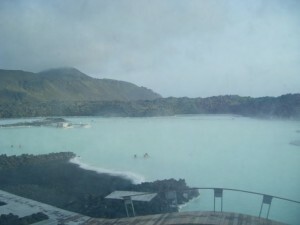 Nothing will complete your day better than taking a dip in the Blue Lagoon, a geothermal spa similar to the pools within the city, however this is entirely within nature, with steam rising off the hot waters in the chilly air. While roaming the lagoon’s waters you’ll be able to apply white silica mud to your face, and shvitz in a sauna or steam room. A good chunk of these attractions are open late since the sky doesn’t really get dark in the spring/summer time, and the waters are always hot, no matter how cold it is outside. Additionally, there are many day or multi-day trips one can take away from the capital. In the south you can visit 2 amazing waterfalls, the glaciers, hikes and farms. The north offers more untouched nature including Europe’s largest waterfall, Dettifoss. The Northwest region is filled with wildlife and fjords. My recommendations if you are visiting Iceland are to: bring an eye mask to sleep (during the warmer months), rent a car to save money on tours, and go after the winter season but before July when the tourist season gets hectic. Prices in Iceland are high, so be prepared. If you can only spend one full day in Iceland, see the Golden Circle tour, and finish it off with an evening dip in the Blue Lagoon. On June 21, the sun does not set whatsoever and you will be able to watch the midnight sun. Walking around at 11pm between May and September will feel like 6pm in most other countries. During the winter months you will be able to see the Northern Lights or the Aurora Borealis. Jewish Info: There is no known Jewish community in Iceland.